Celebrate the Easter long weekend with us at Terindah Estate! We are open all weekend serving lunch on Good Friday, Easter Saturday, Easter Sunday and Easter Monday. On Saturday, 20 and Sunday, 21 April we are also open for breakfast, lunch and dinner. Enjoy live music from local artist Kieran T, who will be playing smooth acoustics on Easter Sunday. For any further details or to make a booking, please call 03 5251 5536 or click here. Please note we will be closed on Tuesday, 23 April and Wednesday, 24 April but open as usual for ANZAC Day on Thursday, 25 April. We look forward to seeing you this Easter long weekend! Join us over the long weekend at Terindah and relax on the lawn or nestle into comfortable lounges on The Deck to soak up the last of the sun with a glass of estate-made wine and French-inspired share plates while listening to live music or find your zen with a Hatha Flow Yoga Session. The estate will be open all long weekend from 8am serving breakfast and lunch on Saturday, 9 March, Sunday, 10 March and on Labour Day, 11 March. The Shed restaurant will also be open for dinner on Saturday evening from 6pm. Enjoy live music over the weekend with smooth tunes from some of Geelong's favourite local artists. You can catch Kieran T performing from 12pm - 4pm on Sunday, 10 March followed by Blue Wax Duo performing from 12 - 4pm on Monday, 11 March. Also on Sunday morning, we are hosting a morning Hatha Flow Yoga session. The 60-minute class begins at 8.30am followed by brunch and bubbles. Tickets are $55, inclusive of the class and bite to eat and is BYO mat. Bookings can be made online here. We are looking forward to seeing you this Labour Day long weekend! With Valentine's Day quickly approaching, we've hand-picked a few lovely options to help you express just how much you adore your special someone. 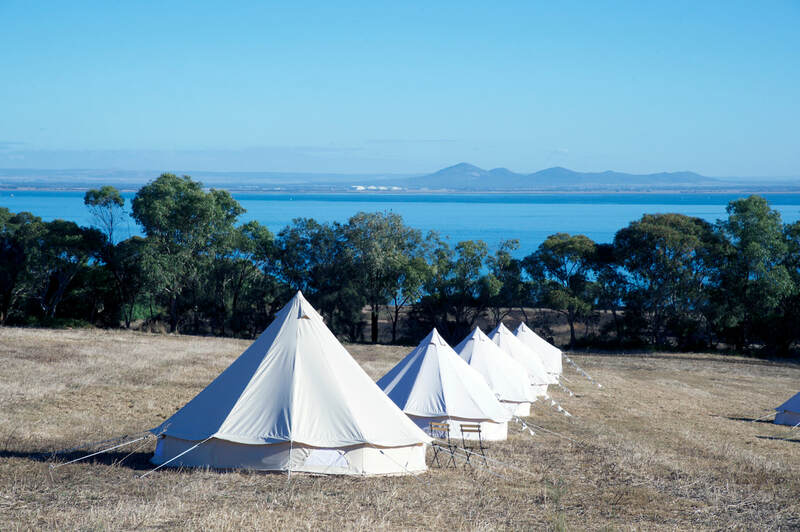 Spoil your Valentine by gifting them with the ultimate getaway - a night of Glamping! 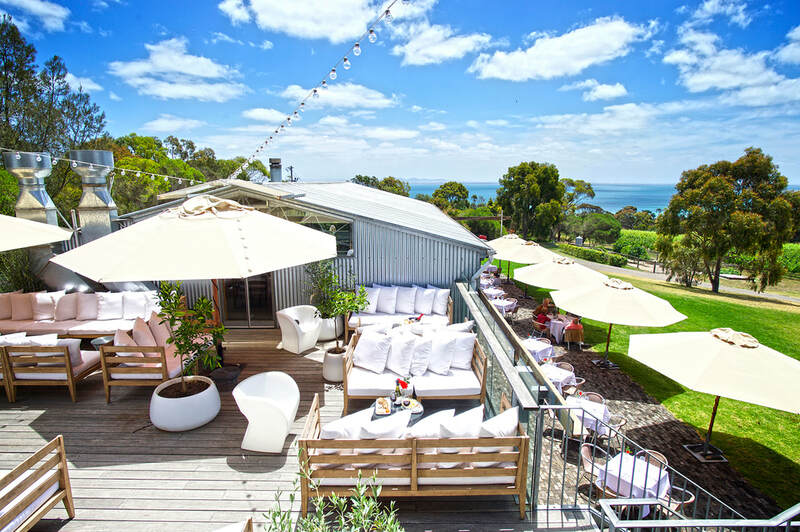 The perfect gift for the outdoor adventurer or food and wine connoisseur, spend a romantic evening sipping on wine, indulge in a French-inspired picnic hamper and watch pink sunsets across Port Phillip Bay. For availability and bookings, click here. Share a bottle of our award-winning wine with your loved one as the perfect addition to an intimate dinner or romantic picnic! Our wines are estate-grown, hand harvested and made on-site with love, the ideal Valentine’s Day gift. See our full range online here. Why not spoil them with one of our Gift Vouchers to use at our restaurant The Shed? ​Purchase a gift voucher here. Join us this Australia Day Long weekend and soak in spectacular views across open lawns, vines and Port Phillip Bay while listening to the soothing sounds of live local acts on Sunday, 27 and Monday, 28 January. 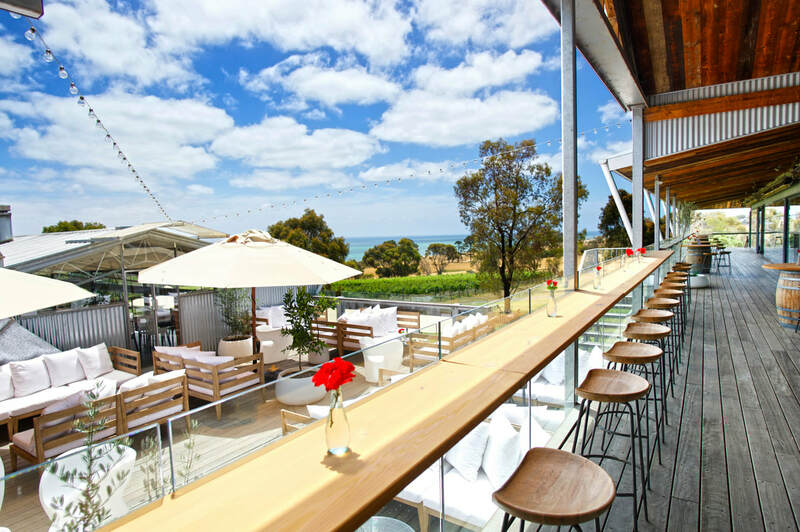 Book a table in our signature restaurant, The Shed, relax on the lawn outside with a picnic rug or nestle into our comfortable lounges on The Deck to soak up the best of the Bellarine's summer sun and celebrate. Bring your friends and enjoy our award-winning, estate-made wines and delicious seasonal produce or share plates while taking in the smooth tunes between 12pm and 4pm. 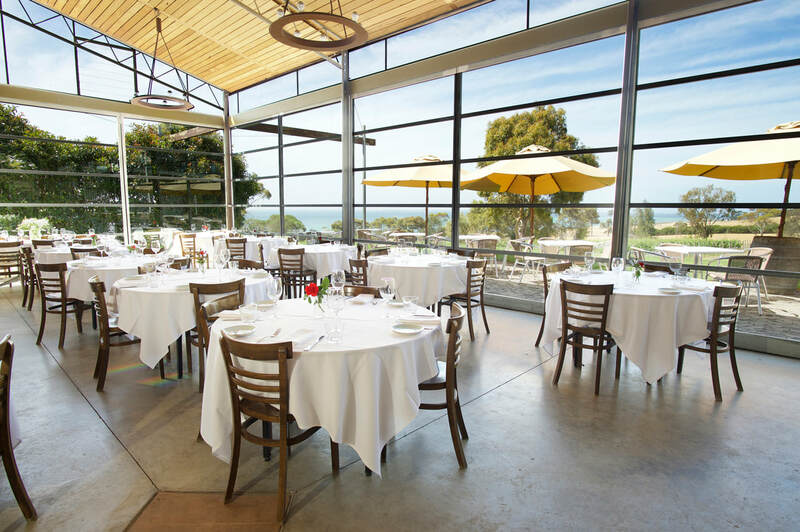 Throughout January, our signature restaurant, The Shed will be open seven nights a week for dinner. To celebrate, every Thursday evening in January will have a 'live and unplugged' twilight music sessions. Enjoy dinner in The Shed and watch the sunset over the vineyard whilst listening to acoustic covers performed on the lawn by local artists between 7pm and 9.30pm. Everyone is welcome to enjoy live music on Thursdays but bookings are recommended for dinner in The Shed.